Size: * 4 lb. 7 lb. 16 lb. 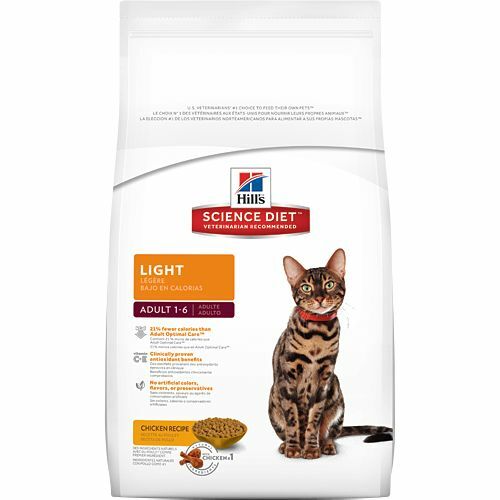 Hill's® Science Diet® Adult Light cat food provides precisely balanced nutrition for a light, healthy lifestyle. †An eight fluid oz. measuring cup of Adult Light contains 3.5 oz. by weight.